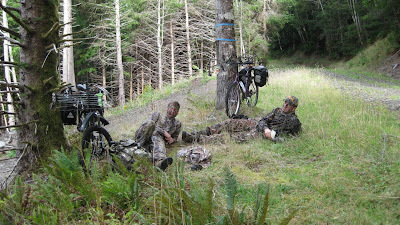 To unlock the thousands upon thousands of available hunting lands, one must physically get to it. Enter the mountain bike. I have a $30 Planet Bike computer to track mileage, temperature, etc. It’s nice for planning purposes or figuring out ride times and taking notes. I have a heavy duty Blackburn pannier rack and Axiom waterproof panniers. They are HUGE and can haul a lot of gear and meat! Once filled, the top of the panniers and the rack itself become a great place to strap down your hunting pack or extra gear. Tom Ryle's passion for bowhunting has fueled adventures spanning the United States, Canada, and South Africa. 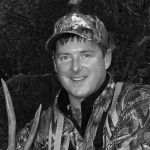 He is an official measurer for the Pope and Young Club, NMLRA, NW Big Game Inc., and Oregon Shed Hunters. Thanks for the Article. I’ve beed wanting to use my mountain bike to do some turkey hunting.This article was the motivation I needed. Any suggestions on good spots to try out in Washington state? Thanks for the comment. yes, sometimes a little push is all we need to try something new! If you’re willing to do a little more physical labor, it’s a great way to silently get back to where the game is. Give me a call sometime to discuss, Tom 360-870-7264. I’ll check out your mountain bike hunting site in the meantime.